Michael Hwang working on his forehand. 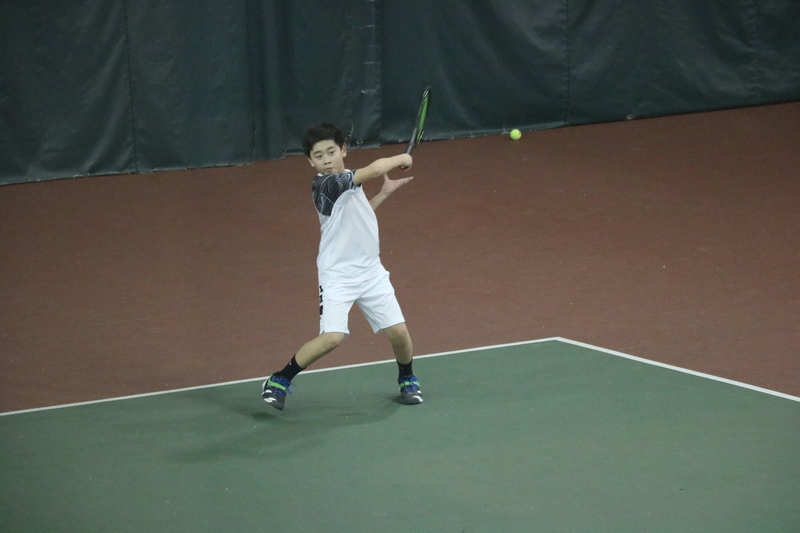 Winnipegger Michael Hwang is relatively new to tennis, but he already has aspirations of becoming one of the best players in the sport. Hwang, 12, tried tennis for the first time 14 months ago when his dad signed him up for a lesson. Hwang said the lesson was “super fun” and that it came pretty easy to him. He immediately fell in love with the game and decided that he wanted to take it more seriously. He became a member at the Winter Club, played throughout the year, and this fall, he became a member of Tennis Manitoba’s Provincial B-team. Hwang, who looks up to Rafael Nadal, hopes the provincial team will help him reach his goals. “In the next couple years I’d like to win nationals, but my final career goal is to win Wimbledon,” Hwang said. To get to the grass courts in England, Hwang’s plan is to train every day, focus on his fitness and footwork, and listen to his coaches. Hwang said he enjoys the provincial team training and that more kids his age should consider tennis. 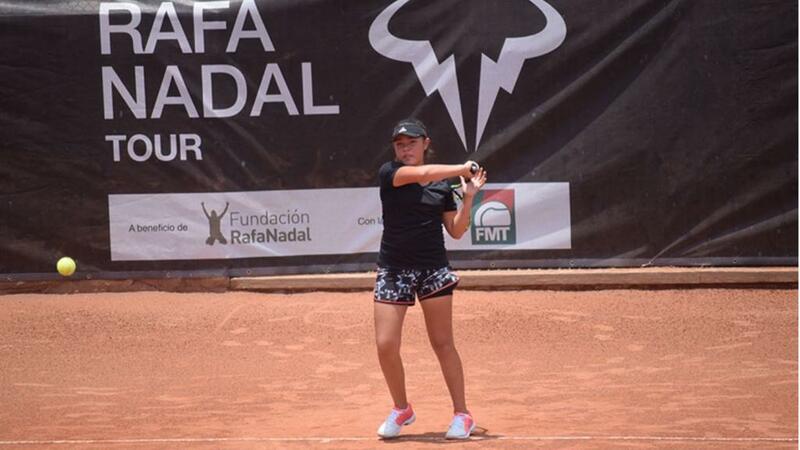 Karen Barbosa playing in a tournament in Mexico. Hwang isn’t the only provincial team member with big goals, as Karen Barbosa has similar aspirations. Barbosa, a 14-year old who plays on the A-team, has been playing tennis for six years. Barbosa isn’t new to the game, but she is new to the city, as she moved to Winnipeg from Mexico City with her family last April. Barbosa said tennis is one of the main sports in Mexico City and that when she found out she’d be moving up north, she was worried she’d no longer be able to play. “I didn’t know if I’d still be able to play so I am relieved,” said Barbosa, a grade nine student at Grant Park High School. Barbosa also said the provincial team has been a great way to help her get accustomed to living in a new country. “It is very difficult because I used to have a lot of friends, the weather, and everything. But it’s been good. I’ve met a lot of people here, too,” Barbosa said. Similar to Hwang, Barbosa hopes the provincial team will be a stepping stone to becoming one of the best players to ever come out of Manitoba. “I’d like to be one of the best players in Canada, maybe even the world,” said Barbosa.